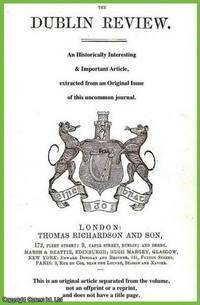 United Service Journal and Naval and Military Magazine, London, 1829. First Edition. Disbound. Very Good. 4 Pages Note; this is an original article separated from the volume, not a reprint or copy. Size: Octavo (standard book size). Quantity Available: 1. 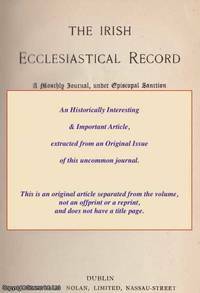 Category: Naval and Military Magazine; Inventory No: 293307..
Irish Ecclesiastical Record, 1884. First Edition. Disbound. Very Good Condition. 4 pages, with some foxing. Note; this is an original article separated from the volume, not a reprint or copy. Size: Octavo (Standard book size). Quantity Available: 1. Category: Irish Ecclesiastical Record; Inventory No: 236751..
Bradbury & Evans, London, 1860. First Edition. Disbound. Very Good Condition. 3 pages, 1 illustration. Note; this is an original article separated from the volume, not a reprint or copy. Size: Octavo. Quantity Available: 1. 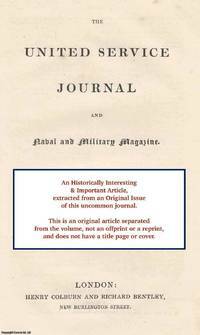 Category: Once a Week; Inventory No: 281568..
United Service Journal and Naval and Military Magazine, London, 1831. First Edition. Disbound. Very Good. 6 Pages Note; this is an original article separated from the volume, not a reprint or copy. Size: Octavo (standard book size). Quantity Available: 1. Category: Naval and Military Magazine; Inventory No: 293635..
Dublin Review, July 1914. 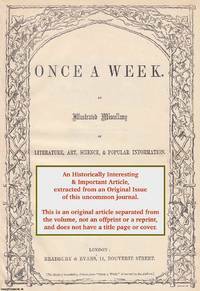 Volume 155, 1914. First Edition. Disbound. Very Good Condition. 15 Pages. Note; this is an original article separated from the volume, not a reprint or copy. Quantity Available: 1. 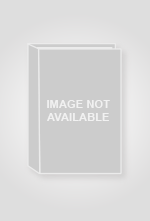 Category: Dublin Review; Inventory No: 197472..
Report of the British Association for the Advancement of Science, 65th. Meeting, Ipswich, 1895, 1895. First Edition. Disbound. Very Good Condition. Octavo. 3 pages. Note; this is an original article separated from the volume, not a reprint or copy. Quantity Available: 1. Category: British Association for the Advancement of Science; Inventory No: 151394..
Report of the British Association for the Advancement of Science, 65th. Meeting, Ipswich, 1895, 1895. First Edition. Disbound. Very Good Condition. Octavo. 3 pages. Note; this is an original article separated from the volume, not a reprint or copy. Quantity Available: 1. Category: British Association for the Advancement of Science; Inventory No: 212910..
Report of the British Association for the Advancement of Science, 74th. Meeting, Cambridge, 1904, 1904. First Edition. Disbound. Very Good Condition. Octavo. 1 page. Note; this is an original article separated from the volume, not a reprint or copy. Quantity Available: 1. 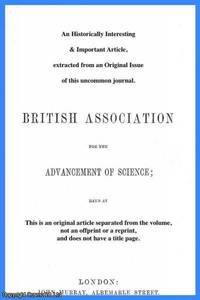 Category: British Association for the Advancement of Science; Inventory No: 149992..
Report of the British Association for the Advancement of Science, 74th. Meeting, Cambridge, 1904, 1904. First Edition. Disbound. Very Good Condition. Octavo. 1 page. Note; this is an original article separated from the volume, not a reprint or copy. Quantity Available: 1. Category: British Association for the Advancement of Science; Inventory No: 214053..
Report of the British Association for the Advancement of Science, 74th. Meeting, Cambridge, 1904, 1904. First Edition. Disbound. Very Good Condition. Octavo. 1 page. Note; this is an original article separated from the volume, not a reprint or copy. Size: Octavo (standard book size). Quantity Available: 1. Category: British Association for the Advancement of Science; Inventory No: 221127..
Report of the British Association for the Advancement of Science, 42nd. Meeting, Brighton, 1872, 1872. First Edition. Disbound. Very Good Condition. Octavo. 2 pages. Note; this is an original article separated from the volume, not a reprint or copy. Quantity Available: 1. Category: British Association for the Advancement of Science; Inventory No: 155053..
Report of the British Association for the Advancement of Science, 42nd. Meeting, Brighton, 1872, 1872. First Edition. Disbound. Very Good Condition. Octavo. 2 pages. Note; this is an original article separated from the volume, not a reprint or copy. Quantity Available: 1. Category: British Association for the Advancement of Science; Inventory No: 210751..
Report of the British Association for the Advancement of Science, 86th. Meeting, Newcastle-On-Tyne, 1916, 1916. First Edition. Disbound. Very Good Condition. Octavo. 4 pages, textual figures and one photogrpahic plate. Note; this is an original article separated from the volume, not a reprint or copy. Size: Octavo (standard book size). Quantity Available: 1. Category: British Association for the Advancement of Science; Inventory No: 221512..
Report of the British Association for the Advancement of Science, 86th. Meeting, Newcastle-On-Tyne, 1916, 1916. First Edition. Disbound. Very Good Condition. Octavo. 26 pages, textual figures. Note; this is an original article separated from the volume, not a reprint or copy. Size: Octavo (standard book size). Quantity Available: 1. Category: British Association for the Advancement of Science; Inventory No: 221562..
Report of the British Association for the Advancement of Science, 86th. Meeting, Newcastle-On-Tyne, 1916, 1916. First Edition. Disbound. Very Good Condition. Octavo. 26 pages, textual figures. Note; this is an original article separated from the volume, not a reprint or copy. Size: Octavo (standard book size). Quantity Available: 1. Category: British Association for the Advancement of Science; Inventory No: 221563..
Report of the British Association for the Advancement of Science, 86th. Meeting, Newcastle-On-Tyne, 1916, 1916. First Edition. Disbound. Very Good Condition. Octavo. 4 pages, textual figures and one photogrpahic plate. Note; this is an original article separated from the volume, not a reprint or copy. Size: Octavo (standard book size). Quantity Available: 1. Category: British Association for the Advancement of Science; Inventory No: 221510..
Report of the British Association for the Advancement of Science, 84th. Meeting, Australia, 1914, 1914. First Edition. Disbound. Very Good Condition. Octavo. 3 pages. Note; this is an original article separated from the volume, not a reprint or copy. Quantity Available: 1. Category: British Association for the Advancement of Science; Inventory No: 214716..
Report of the British Association for the Advancement of Science, 86th. Meeting, Newcastle-On-Tyne, 1916, 1916. First Edition. Disbound. Very Good Condition. Octavo. 4 pages, textual figures and one photogrpahic plate. Note; this is an original article separated from the volume, not a reprint or copy. Size: Octavo (standard book size). Quantity Available: 1. Category: British Association for the Advancement of Science; Inventory No: 221511..
Report of the British Association for the Advancement of Science, 73rd. Meeting, Southport, 1903, 1903. First Edition. Disbound. Very Good Condition. Octavo. 5 pages. Note; this is an original article separated from the volume, not a reprint or copy. Quantity Available: 1. Category: British Association for the Advancement of Science; Inventory No: 213888..
Report of the British Association for the Advancement of Science, 73rd. Meeting, Southport, 1903, 1903. First Edition. Disbound. Very Good Condition. Octavo. 5 pages. Note; this is an original article separated from the volume, not a reprint or copy. Quantity Available: 1. Category: British Association for the Advancement of Science; Inventory No: 213889..